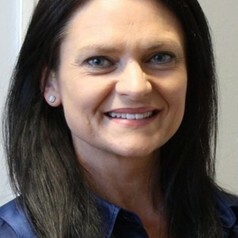 Prof Lisanne du Plessis is an Associate Professor in Community Nutrition in the Division of Human Nutrition, Department of Global Health, Faculty of Medicine and Health Sciences, Stellenbosch University. She is dually registered as dietitian and nutritionist with the Health Professions Council of South Africa. Her field of experience is Public Health Nutrition and she has a particular interest and research focus in Maternal, Infant and Young Child Nutrition and Early Childhood Development, with a strong emphasis on policy, leadership and governance issues. She currently lectures undergraduate dietetic and medical students and provides study leadership for undergraduate and postgraduate research projects. She is also active in various committees and working groups with a link to social impact, among other, the Western Cape Government, Department of Health: Nutrition Sub-Directorate - Infant and Young Child Feeding Technical Working group.